For centuries Fengshui practitioners have advised people on how to optimize their residence and business for their particular needs. 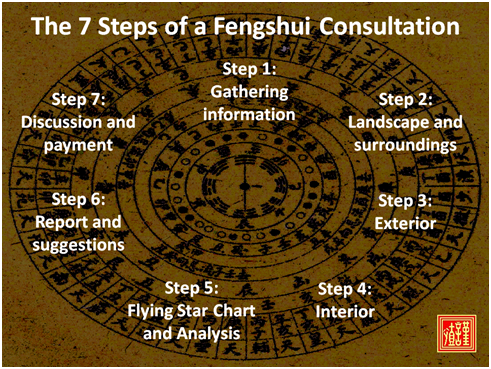 A Fengshui consultation has proven to be helpful when you are buying, renovating or building a house or business. It can tailor your house or premises to suit you in your life, your well-being, health and spiritual growth, as well as your financial situation. What is your situation, what do you want, and what are your plans? Which questions and problems do you encounter? Building date of your house or building. Date of the last major renovation. Occupants: name, birth-date and gender. 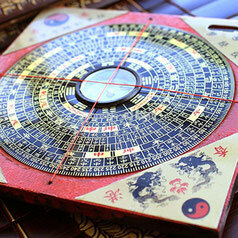 A compass-reading using a specialized Chinese compass called Lopan. The visible energy-carriers are analyzed to determine possible beneficial or harmful structures. The land and the buildings surrounding your property. Street patterns and waterways are included. The overall shape of the building. The current interior of your building is the final aspect of the visible energy. Floor plan - what room or space lies where; size of each one. Current and potential use of all rooms and spaces. Type and distribution of energy pattern in the building. Nature of the energy in each part of the building. Conflicts or agreements with present usage of spaces. Prediction of energy patterns for future years. 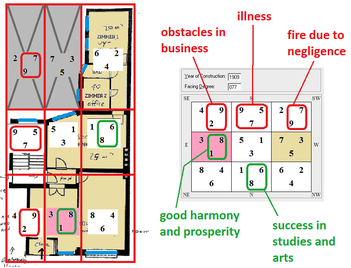 Specific interaction of building with occupants (health and finance). Overall suitability and sue of the property. Choice of bedrooms for each occupant. Best use of each room. Countermeasures for negative and harmful situations. Suggestions specific to each occupant and year. The final results are provided in a clear written, color report. After receiving the report, you read it. Next we discuss the contents and suggestions in a meeting, over the telephone or by email. Each building, each house has its own character. Every consultation is tailored to the clients wishes and situation. The seven steps above provide a general outline of the possibilities. The actual consultation depends on the agreement with the client. A working visit to the site. Report with analysis of environment and interior. Discussion and practical suggestions for improvement. Client provides data of the site through email or digital media. Please enquire how for the fees for your project. Appraisals are always for free. What to choose: a full or an email consultation? 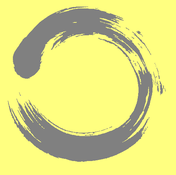 Compare a Fengshui consultation to a medical consultation: in most cases you would like to see your physician and he would like to see you for a proper diagnosis. Fengshui is the same. That doesn't mean that in certain circumstances an email consultation is not possible or couldn't be the precursor for a full consultation. A full consultation guarantees that the surrounding environment, the exterior and the interior are fully and thoroughly examined. It guarantees that the necessary compass-readings are accurately made, using a specialized Chinese compass called a Lopan. In short: all possible factors are examined and considered by an expert! 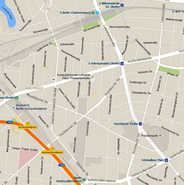 In an email-consultation, the client supplies the data and is responsible for the accuracy. Although every precaution is taken to ensure good data, a certain degree of risk will remain. This is indicated in the final report. Now, depending on timelines involved in decision-making processes, also combinations of email and full consultations can be offered, which has proven to be a very successful approach! Please contact me to discuss the best solution for your situation! Free of charge of course, and without obligations.